The Yak-42 trijet was developed as a replacement for Tupolev's Tu-134 twinjet and Antonov's An-24 turboprop. The Yak-42 is an all new design although, like the Yak-40, it features a three engine configuration for increased redundancy and good short field performance. A moderately swept wing was a compromise between the need for good field performance and high speed cruise capabilities. An integral airstair, APU and double main undercarriage are all incorporated into the Yak-42 design for austere airfield operations. The Lotarev turbofan meanwhile was one of the first true turbofans to be developed in the Soviet Union. The first of three prototypes flew on March 7 1975. Development flying revealed the need for increased wing sweep back, and the change of wing sweep angle and suspected development problems with the new three shaft turbofans delayed service entry to late 1980. Most production was of the initial Yak-42. The Yak-42D was introduced in 1989 and became the standard production model. It features increased fuel capacity, taking range with 120 passengers to 2200km (1185nm). The Yak-42T is a freighter design study. It would be fitted with a main deck freight door, and capacity would be 12 tonnes. 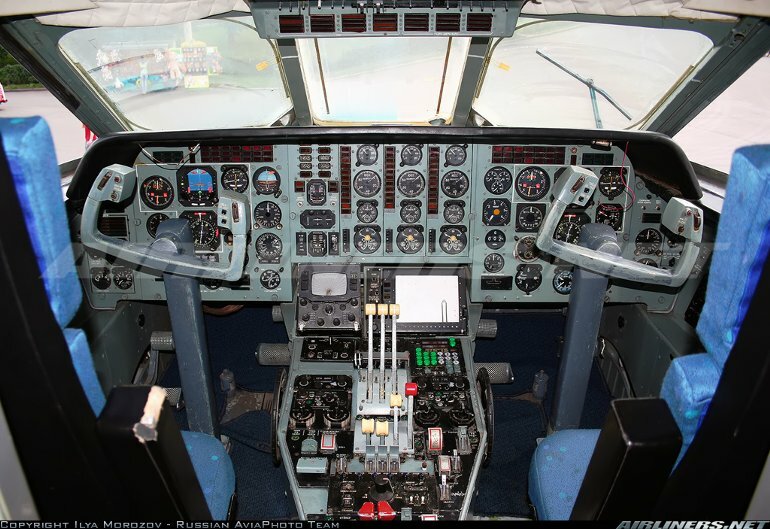 The Yak-42D-100 meanwhile is a development with a four screen AlliedSignal EFIS cockpit among other improvements. One was displayed at the 1993 Paris Salon (as the Yak-142). A VIP/corporate jet development is also offered. The Yak242 was an all new design study with the Yak-42's cross section, two PS90A turbofans and seating for up to 180. Three 63.7kN (14,330lb) ZMKB Progress (Lotarev) D36 turbofans. Yak-42 - Max cruising speed 810km/h (437kt), economical cruising speed 750km/h (405kt). Range with max payload and reserves 1380km (745nm), with 120 passengers 1900km (1025nm), with 104 passengers 2300km (1240nm), with max fuel and 42 passengers 4100km (2215nm). 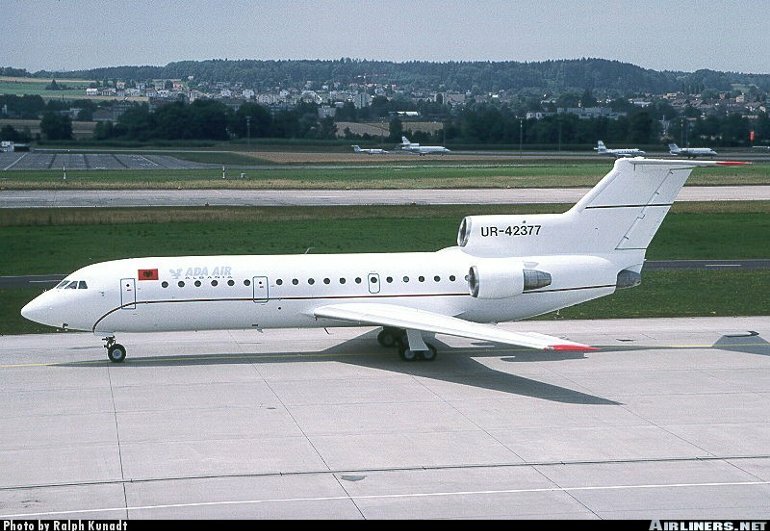 Yak-42D - Range with 120 passengers 2200km (1185nm). Yak-42 - Empty equipped with 104 seats 34,500kg (76,058lb), with 120 seats 34,515kg (76,092lb); max takeoff 57,000kg (125,660lb). Yak-42D - Max takeoff 57,500kg (126,765lb). Wing span 34.88m (114ft 5in), length 36.38m (119ft 4in), height 9.83m (32ft 3in). Wing area 150.0m2 (1614.6sq ft). Flightcrew of two pilots, with provision for a flight engineer. 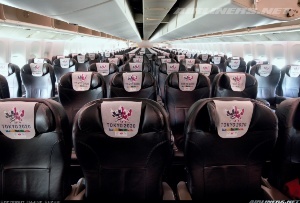 High density single class seating for 120 at six abreast and 75cm (30in) pitch. 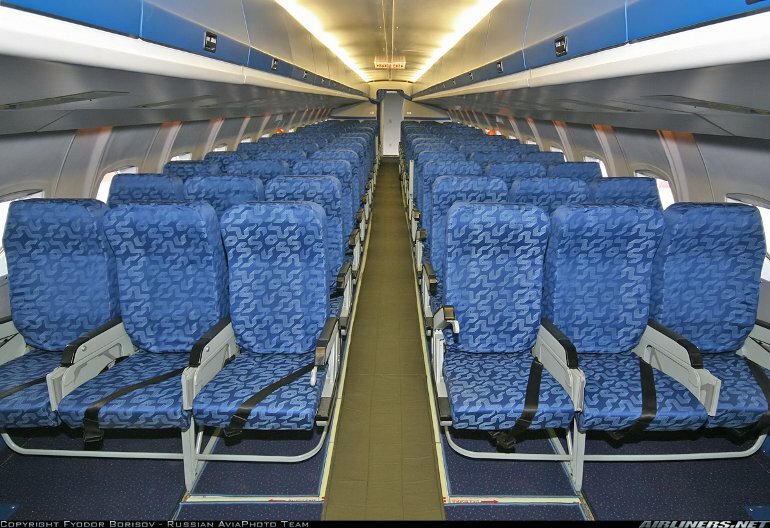 Two class seating for eight premium class passengers at four abreast and 96 economy class at six abreast. More than 180 built, with most delivered to Aeroflot and its successors. Approx 150 were in commercial service in 1998.